Sump Pump & Property Drainage | SCOTT SEIB Plumbing & Heating Inc.
SCOTT SEIB Plumbing & Heating Inc. When was the last time you evaluated your sump pump? A quality, properly functioning sump pump can be an important investment for keeping your home dry. 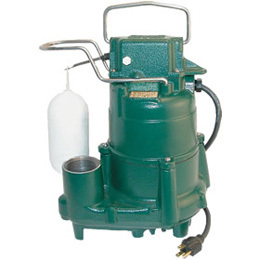 Sump Pumps will solve most basement flooding issues. Our experienced crews can assess your needs and recommend and install the best pump for you. You may also choose to consider a battery backup pump which activates when the main pump fails. Did you know poor drainage can lead to property damage? Have you experienced soggy areas on your property? If so, the cause may be a damaged leader line or poor drainage. Our crews can solve downspout problems. We can identify low/wet areas in your lawn, as well as basement water problems, and provide a solution.